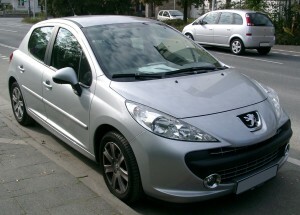 Peugeot manufactured the Peugeot 207 from 2006-2012, and it was the third most popular supermini on the market in 2007. In 2008, it was replaced by the Peugeot 208, but it remains a popular secondhand car across the UK. While it received mixed reviews, particularly about its bland interior, average gearbox and handling errors, the Peugeot 207 is still known as one of the highest ranked superminis in terms of safety and reliability. However, the vehicle does have some common problems that may eventually end up being too expensive to fix. The most common problems are in its electrics, the ABS and power steering causing particular troubles. There was also a number of recalls on the 207 with complications in engine failure, steering failure and two different kinds of engine cut-outs. The alternator can be a bit pesky, and may constantly need replacing. If your Peugeot 207 has been sitting in your driveway gathering dust, or has been damaged and you can’t afford repairs, this is the perfect time to look into scrapping. Below are a few steps you should follow when scrapping your Peugeot 207. It is important that you don’t just go for the first scrapyard you find. Phone around, look at websites, and ask for quotes. Make sure you are not going into a scrapyard that will rip you off and pay you the bare minimum. It is essential to look at a few scrapyards to ensure you will be getting the best price and most effective service for your scrapping experience. Look for a list of reputable scrapyards in your area. Once you’ve done your research, accept the best quote and, if you’ve chosen a reputable company, you’ll receive an instant payment in your bank account. Once you’ve received your money, your vehicle will be collected so you need to make sure it’s ready to go. Remove any personal items from the car and make sure you have your keys and vehicle documents ready to hand over. Once you’ve received the Certificate of Destruction you can claim back any unused portion of your road tax and insurance. While the Peugeot 207 remains one of the most popular superminis, it may be time to cut your losses if you can’t afford to get those increasingly irritating problems sorted out. If you need to scrap your Peugeot 207, contact Scrap Car Kings today.